For the longest time, it looked as though Sony’s second big-screen rendition had effectively stalled. Shortly after The Amazing Spider-Man 2 failed to draw in the big bucks – or critical praise – those plans for a Sinister Six spinoff were quietly disbanded, casting a major doubt over the future of Andrew Garfield in the lead role. Shortly thereafter, Marvel brokered a deal with Sony to bring the webslinger back to his original home, casting The Impossible‘s Tom Holland as the much younger Spider-Man in the process. It’s a casting move that has garnered a tremendous amount of excitement, and it’s a feeling that Garfield himself shares, who revealed his own approval of Holland’s new-fangled part in an interview with ET. While one could argue that Garfield was unfairly treated during his stint as Spider-Man – let down by poor scripts, as opposed to his own performances – Holland supplanting him in the title role marks the beginning of a new era for the webcrawler, who will be making his debut in Joe and Anthony Russo’s Captain America: Civil War. As a matter of fact we may have already got a glimpse of his first appearance ahead of schedule. Beyond that, as Garfield alludes to, the 19-year-old Brit is also a good fit for the physically demanding role in the sense that Holland can draw upon his time as a dancer to handle Spidey’s agile webwork. 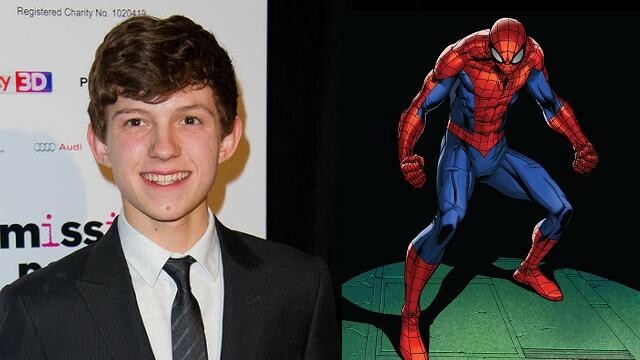 It’s a role that will no doubt push Holland toward superstardom, with plans to star in the Spider-Man standalone film – helmed by Jon Watts – in 2017. Before that, though, we’ll see him swing into action – perhaps with the aid of Tony Stark – when Captain America: Civil War opens on May 6, 2016.